AS an AS9100 Rev D approved supplier to Aerospace and Defence Prime & Tier 1 customers, we manufacture products for use in engines, wings and the interiors of planes as well as supplying the defence sector with their urgent operational (UOR) demands of machined ballistic plate as well as contracts for production parts on the latest armoured vehicles for the British Army. Our belief is that an integrated approach to supply chain management is key to the success of our customers. 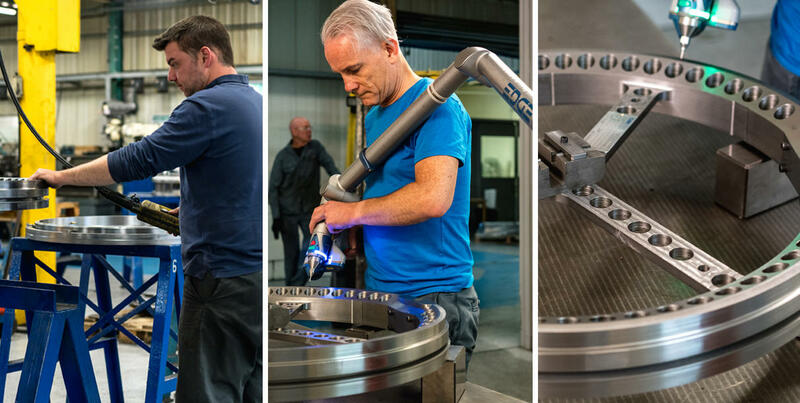 Using our staff on-site to help process, tool and fixture design allows our customers to benefit from our experience up front, using industry best practice and therefor reducing time to market, particularly with highly complex multi part builds. Using our experience in exotic material forming (normally at high temperatures) we design and manufacture press and mould tools to suit low volume production accompanied by range of fixture types, means that you can have confidence we are a turnkey manufacturer for your projects. Our large CNC machining capability allows us to undertake R & D work for component parts for the latest aero and defence programmes, working either directly with prime customers or with their industrial partners, not only supplying manufacturing capacity but working as a development consultancy for the production and development too.